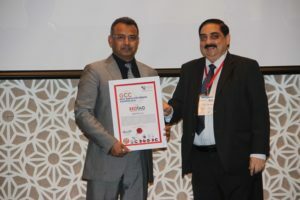 REDTAG was highlighted as an exemplary employer by the esteemed Employer Branding Institute, an organisation which connects senior leaders in human resources to share best practice across 100 countries. REDTAG secured this award based on the valuable initiatives that are offered to employees to boost morale and improve performance. These include Arabic lessons, consistent and relevant trainings and a regimented graduate program which exposes top recently graduated students to the fast-paced business world. On receiving the award, Ernest Hosking, Chief Executive Officer at REDTAG said: “Our employees are our most important asset – from the tireless behind-the-scenes teams to the store staff who offer valuable facetime with our customers. To grant this award, the Employer Branding Awards tasks independent professionals with over seven years’ experience to conduct research into the initiatives offered in learning and development, communication, employee hiring and retention rates. The jury will then nominate worthy companies and debate final awardees. This is the third edition of the award ceremony in the GCC.